According to the information reported by the Mexican National Institute of Statistics and Geography, in 2016 the mining industry represented 3.9 per cent of the GDP of Mexico. Furthermore, it is one of the main economic driving forces in Mexico. Its importance lies in the set of benefits arising from this activity, such as employment generation in areas where few industries operate, foreign investment, growth of its value chain and in the contribution to the cultural development of the country. In addition to its contribution to GDP, the social benefits of mining spread to 24 out of the 32 states of the Mexican Republic, which makes Mexico the main destination for foreign investment in exploration of minerals in Latin America and the fourth worldwide. The 2016 report of the Mexican Mining Chamber of Mexico states the target minerals in Mexico as gold (37.4 per cent), silver (18 per cent), lead (2.4 per cent), copper (19 per cent), coal (1.7 per cent), zinc (6.5 per cent) and iron (3.3 per cent). At a global level, Mexico is in the first 10 places in the top producers of 19 major minerals, such as silver, gold, copper, zinc, lead and coal, and it stands as the largest producer of silver and the eighth-largest producer of gold. While there are no statistical reports from Mexican organisations regarding an increased interest in minerals used in battery technology or renewable energy, it was announced on 20 February 2018 that Rock Tech Lithium Inc entered into a letter of intent to acquire, through its wholly owned subsidiary Minerales de Baterias SA de CV, a 100 per cent interest in the Nogalito lithium property in Sonora, Mexico; it is also important to mention that in the State of Sonora there is one of the world’s larger lithium resources, which is currently developed by Bacanora Minerals Ltd, a Canadian and London-listed lithium exploration and development company. The project consists of 10 contiguous concessions covering 97,389 hectares. Bacanora, through drilling and exploration work to date, has established a measured plus indicated mineral resource estimate of over 5 million tonnes. zinc: Zacatecas (43.6 per cent), Chihuahua (17.8 per cent), Durango (16.4 per cent), State of Mexico (6.9 per cent), San Luis Potosí (5 per cent) and others (10.3 per cent). In Mexico, the legal system is civil law-based. The federal government regulates the mining industry through the Ministry of Economy, particularly, through the General Bureau of Mining Regulation (GBMR). Other government bodies that administer the regulatory regime relating to mining activities are the Environmental Ministry, the Waters Commission, the Army Ministry, the Labour Ministry, the local public registries of real estate properties and the Agrarian Registry. The laws regulating the mining industry are the Mexican Political Constitution, Mexican Mining Law, its Mining Regulation and the Mining Handbook Services (jointly, the Mining Law). Additionally, other laws govern ancillary activities to the mining activities: Federal Environmental Law, the Federal Waters Law, Federal Agrarian Law (communities and social organisations lands’ tenure), Federal Explosives and Weapons Law (for the storage, transportation and use of explosives), Federal Labour Law (this law governs labour relationships and safety at the mines facilities), local Civil Codes (applicable to private lands’ tenure), federal and local tax laws, Federal Commercial Code, municipal regulations for zoning the use of the lands and Federal Environmental Norms. The principal regulatory body in Mexico that administers the Mining Law is the GBMR, however, as mentioned in question 5, other government bodies administer the regulatory regimes relating to mining activities. There have been no major amendments in the past year to the aforementioned laws. Mexico follows international standards in this regard. Currently, the classification system used by Mexico is similar to that contained in the National Instrument 43-101 of Canada. Mexico, as a nation, is the direct owner of all mineral deposits within the national territory as provided in the Constitution. The exploration and exploitation of such mineral resources are concessional to private parties pursuant to concessions granted by the federal government. The GBMR is the agency of the federal government in charge of granting mining concessions and supervising the mining concessionaries to comply with Mining Law while holding mining concessions, while conducting mining activities and while granting rights to third parties over the mining concessions for them to conduct mining activities, which are also subjected to the Mining Law. Mining concessions grant to their holders the right to explore and exploit all minerals and substances specified in the Mining Law, except for those reserved to be exploited by the Mexican government, such as gas derived from the exploitation of mineral coal, oil and solid, liquid or gaseous hydrocarbons. Legal information about ownership, agreements, liens and encumbrances of mining concessions is available at the Public Registry of Mining (PRM). General mining information, including maps, mining cartography, geological and geophysical reports, information of ore deposits, technical data, tectonic and volcanic information, satellite images, hydrographic information, natural protected areas, general statistics on production, etc, for the mining districts (areas in which the Mexican territory is divided by the GBMR) for mining purposes is available at the Mexican Geological Service (MGS) through the ‘Geoinfomex System’. Official Mexican mining cartography is also publicly available at the subdirectories of the GBMR in the corresponding states. As part of their obligations before the GBMR, mining concessions’ title holders shall annually submit work assessment reports containing economical information on investments incurred in their mining concessions, as well as statistics reports. Information submitted is used to create statistics on mining activities in the Mexican territory, and is used to generate public and private databases. The MGS also conducts exploration activities in areas allotted to them by the GBMR. Its results are also publicly available. The most common way for private parties to acquire mining concessions is staking them. Private parties may also acquire mining concessions from the MGS. The MGS offers mining concessions to private parties through public auctions, with data derived from its own surveys and exploration activities. Once the GBMR issues the mining concessions to private parties, after complying with certain technical and legal requirements, the rights granted to their holders are freely assignable. All Mexican private individuals and Mexican entities registered before the PRM are legally capable to hold mining concessions or rights deriving therefrom. Mexican entities are those incorporated in accordance with Mexican laws. Foreign investment may participate in up to 100 per cent of the capital of a Mexican entity. In accordance with the Mining Law, mining concessions allow their title holders to conduct exploration and exploitation works. Mining concessions are granted over free areas to the first petitioner in time of a mining claim. The location of a mining concession is determined by a fixed base point of the land that is named the ‘starting point’, which is linked to the claim’s perimeter. The first step to acquire a mining concession through a staking is to submit an application for a mining concession. The applications for mining concessions must be submitted before the corresponding GBMR’s agency depending on the location of the claim to be staked. a satellite GPS positioning in order to obtain the coordinates of the starting point of the claim. If the due diligence report complies with all applicable requirements, the GBMR must issue the relevant title document within the following 15 days. As a result of the Mexican energy reform enacted in August 2014, the GBMR, before issuing a mining concession, is required to consult the Ministry of Energy (SENER) in order to verify that the area requested for a mining concession is not considered an area of interest for SENER to conduct oil, gas or power generation activities. Since oil, gas and power generation activities are now considered a priority in Mexico, SENER may oppose the issuance of the relevant mining concession or may recommend the granting of it, excluding the area where the priority activities may be conducted, to the GBMR. inform SENER in the case of finding any hydrocarbons where the mining concession is located. As mentioned, there are no reconnaissance or other kind of mineral licences, only mining concessions, as described here. the holder requests the extension within five years prior to the expiry date. The transfer or assignment of concessions or rights thereunder may be freely made to any party having legal capacity. The transfer of mining concessions or rights thereunder shall produce legal effects against third parties, the Ministry of Economy and other government authorities upon their registration with the PRM. Owners of mining concessions shall be only recognised as so, if they are recorded as concessionaires with the PRM. A transfer or assignment will be null and void when made to an unqualified person under the Mining Law. However, the Mining Law provides that a transfer to an unqualified person will not be null and void when it occurs pursuant to a court resolution ordering the debtor (mining concessionaire) payment of the debt, and provided further that the rights are then transferred to a capable party within 365 calendar days after the date of the issuance of the court resolution. Government consent is not required in order to transfer a mining concession, or in the event of change of control of its holder or its parent. As mentioned in question 11, mining concessions are granted for a term of 50 years from the date of their registration in the PRM, and are subject to renewal for an additional term of 50 years if the holder is not subject to cancellation of the concession as the result of any act or omission so penalised by the Mining Law and if the holder requests the extension within five years prior to the expiry date. if the title holders lose their capacity to own mining concessions (eg, if a company changes its Mexican nationality, among others). Foreign investment is allowed up to 100 per cent in Mexican companies that can acquire and work mining concessions. In Mexico, mining concessions may only be granted to Mexican individuals, Mexican companies (companies incorporated under the laws of Mexico and with corporate domicile within the country), land granted by the government to a group of individuals for agricultural and ranching purposes, agrarian communities, townships and aboriginal communities. In the case of companies, they must be incorporated in accordance with Mexican laws, and their corporate purpose shall include the exploration or exploitation of minerals and substances subject to the Mining Law. Since a Mexican company is a company incorporated under the laws of Mexico as mentioned before, there are no distinctions on the rights to be acquired by a Mexican company with 100 per cent Mexican investment in its capital and a Mexican company with 100 per cent foreign investment in its capital. Mining rights are protected through the applicable legislation and the applicable administrative and judicial authorities; therefore, Mexican authorities are in charge of the resolution of controversies that may arise from mining operation. In accordance with certain provisions of the Federal Code of Civil Proceedings (which provisions are applicable to mining matters), in the event of a dispute between the parties to an agreement involving mining concessions, an arbitration award cannot be homologated (executed) in Mexico since mining matters are from the exclusive competence of Federal Mexican courts. The mining rights covered under a concession do not include direct ownership or possession rights over the surface where a mining concession is located. The use of the lands may be obtained through direct ownership or possession of lands (eg, lease agreements, temporary occupation agreements, easements agreements or expropriation through an administrative proceeding). The Agrarian Law governs the property rights mentioned in (i)-(iii). These lands can be legally occupied or acquired by private parties as provided in the Agrarian Law. A concession holder may acquire all property rights mentioned. Typically, the consideration payable for the lands is agreed between the parties. The Mining Law provides the rules under which a mining concession holder may require the expropriation or the temporary occupation of the land when it does not reach an agreement with the landowner. In the case of expropriation by the Mexican government, the consideration is payable based on an appraisal made by an agency of the Mexican government. Beside the exploration activities conducted by private parties, exploration of national territory for the purpose of identifying and quantifying the nation’s potential mineral resources is carried out by the MGS, through mining allotments, which are issued to this entity by the Ministry of Economy, the registration whereof is published in the federal Official Gazette. No other state agencies conduct mining activities. Once the MGS explores the relevant allotments, they are sold to private parties by way of public auctions. Mining concessionaires must pay royalties to the MGS as part of the consideration payable for the exploration activities and discoveries made by the MGS. In the case of mining concessions, certain government authorities (ie, Environmental Ministry, Communications and Transport Ministry, Agrarian Ministry and others), because of an event of national security or public interest, may decide to revert the concessions granted to private parties (the Reversion Decision). The Reversion Decision decree shall include the general rules to determine the consideration to be paid to the concession holder and the investments made in the concession. The depreciation of the expropriated assets, equipment and facilities attached to the mining concession shall be considered in order to calculate such consideration, through the payment of a fair market value compensation. If the affected party agrees with the amount of consideration payable, it shall be final. If not, it has the right to file a claim before a Mexican court, which will take the final decision. In accordance with the North America Free Trade Agreement (NAFTA), Mexico may only expropriate property in case of public interest and on a non-discriminatory basis. In such events, expropriations will require a fair market value compensation, including accrued interest. In the event of any violations of NAFTA and international laws, investors have the right to international arbitration. The federal government has issued specific decrees for the incorporation of natural protected areas. The federal government has established 181 natural protected areas throughout the country. Each natural protected area has zones where mining activities are forbidden or highly regulated; these limitations are applicable to private and public pro­perty within those areas. In addition to government mining fees, all mining concessions are subject to the payment of certain fees to the Mexican government, which are based on production. in the case of commercialisation of gold, silver or platinum, concessionaires shall pay an additional 0.5 per cent of the income for the sale of such minerals on an annual basis (the extraordinary government royalty). Finally, holders of mining concessions that do not perform and verify exploration or exploitation works for two consecutive years, during the first 11 years of seniority counted from their issuance, shall pay on a biannual basis, an additional 50 per cent of the corresponding government mining fees in accordance with the quotas stated in the Duties Law or 100 per cent if the concession’s seniority is over 11 years. Mexican tax legislation does not grant specific tax incentives to mining companies. However, there are other general tax incentives that can be taken, such as immediate deduction of some fixed assets, tax credit of the special tax over services and production related to diesel consumption and credit of the fees paid over the use of the mining concession. Unfortunately, Mexican tax legislation does not contemplate the tax stability agreement concept, which could support the mining industry in the early years of operation. The only possibility under Mexican legislation is to negotiate, upfront, the values to be used in transactions between related parties. The period that could be negotiated is up to five years and it is commonly known as an advance price agreement. This negotiation is basically from a transfer pricing perspective. Except for the royalties mentioned in question 16, in accordance with applicable Mexican legislation the government is not entitled to a carried interest in mining projects. The transfer of mining concessions is subject to taxation in connection with income tax (considering the gain triggered in the sale, similar to a capital gain) and value added tax (similar to a transfer tax) at a rate of 16 per cent. As mentioned in question 10, since exploration and exploitation activities conducted by foreign investors in Mexico must be made through Mexican companies, and these companies are considered for all legal effects as Mexican residents, there are no distinctions for duties, royal­ties and taxes payable by Mexican companies with 100 per cent Mexican investment and Mexican companies with 100 per cent foreign investment. The most common business structures used are corporations and limi­ted liability corporations, regulated by the Mexican Corporations Law. Mexico has entered into several bilateral agreements with foreign countries, including, among others, the following free trade agreements: NAFTA with the US and Canada, the G3 with Colombia and Venezuela, the Trans-Pacific Partnership with Australia, Brunei, Canada, Japan, Malaysia, New Zealand, Singapore, the US, and Vietnam, and other commercial agreements with Chile, Costa Rica, the EU, Israel, etc. Additionally, the Mexican government has subscribed several bilateral agreements, for the avoidance of double taxation, with the following countries, among others: Argentina, Australia, Austria, Bahrain, Barbados, Brazil, Canada, China, Colombia, United Arab Emirates, Germany, Greece, Hungary, Hong Kong, India, Indonesia, Iceland, Italy, Kuwait, Lithuania, Luxembourg, Malta, New Zealand, Panama, the Netherlands, Peru, Poland, Qatar, the US, the UK, the Czech Republic, Russia, South Africa, Switzerland, Turkey, Ukraine and Uruguay. All international commercial treaties subscribed to by Mexico include a chapter concerning protecting investment from unlawful acts of authority (ie, Chapter 11 of NAFTA). Mexico has followed the OECD rules in the negotiation of all tax treaties and even when there could be some minor differences between the tax treaties, in general terms, the conditions agreed are similar. Notwithstanding the above, it is fairly common to have finance agreements or royalty agreements in place and usually the payments are made to countries in which the tax treatment for such payments is more favourable. Because of the terms of the Mexican legislation, these payments are usually made to residents of countries with tax treaties with Mexico. The principal sources of financing for mining activities carried out by Mexican companies, subsidiaries of foreign companies, are the stock exchange institutions of their countries, with the Toronto stock exchange and the New York stock exchange being the most active for the parent companies of Mexican subsidiaries. Once the money is raised from the applicable stock exchange, the resources are sent to the Mexican subsidiaries, either as capital contributions or as loans. Also, foreign private banks lend money to foreign parent companies or directly to the Mexican subsidiaries. During the past 10 years, successful streaming, royalties and off-take agreements have been structured to finance mining projects in Mexico. Additionally, a Government Mining Trust Fund (FIFOMI) and the Mexican Government Mining Bank, have provided funds to private parties for the development of mining activities. FIFOMI grants the same treatment to Mexican companies with 100 per cent Mexican investment as to Mexican companies with 100 per cent foreign investment. The Mexican stock exchange hosts mining companies but only with production projects and a number of valuable assets. There are 40 Mexican and foreign mining companies whose securities are listed on the Mexican stock exchange. As mentioned in question 28, the FIFOMI and the Mexican Government Mining Bank provide funds to private parties for the development of mining activities. over machinery, equipment and other moveable assets through non-possessory pledges. To be effective before third parties, these guarantees must be granted before a Mexican public notary to be able to register them with the corresponding public registry: mining concessions mortgages or non-possessory pledges with the PRM; all movable assets, including machinery and equipment, with the Movable Assets Guarantees Registry (federal jurisdiction) and lands and real estate with the local public registry of real estate (local jurisdiction). It is also possible to grant a pledge over the minerals extracted from the mining concessions. There are no restrictions for the exportation or the importation of machinery and equipment required in connection with exploration or exploitation activities. Mexico does not use standards conditions for agreements covering equipment supplies. Most common commercial agreements used are leasing and purchase agreements; in the event of forward sales, it is common to enter into title reservation agreements or security agreements using the supplies as security. In case of disputes between the parties, it is common to include arbitration provisions in the agreements involving supplies; however, parties can also use relevant legal resources before Mexican courts. In general terms there are no restrictions. All import and export processes require a permit. However, in order to export iron, gold, silver and copper minerals, the producing-exporting company or individual must be registered in a mining sectoral registry for the exportation of such minerals. For the exportation of iron, exporters are required to be the owners of the mining concession from where the minerals are extracted. There are no restrictions on the importation of funds or investment for exploration, extraction, export or sale of minerals to any national or foreign private party. Mexican Official Norms (NOMS) related to environmental matters: NOM 120, NOM 141, NOM 147, NOM 155, NOM 157 and NOM 159, among others. Exploration, exploitation and processing of minerals require the filing of an environmental impact assessment, as well as the filing of a preventive report in some cases. Applicants must notify the environmental authority of actions that seek to make it to determine whether the filing of an environmental impact assessment is required, or may be performed without authorisation. The authorisation of the preventive report for the exploration phase should be granted within 20 business days, and for the land use change on forest land the authorisation should be granted within 60 business days. Remediation works are performed in Mexico in cases of soil contamination. Otherwise, a refurbishing process must be performed. Those responsible for activities that involve the generation and management of hazardous materials and waste that cause contamination of sites are required to carry out remediation works. for the fulfilment of obligations contained in the resolutions of the environmental impact authorisation. Regarding restrictions for building tailings or waste dams, there is a Mexican Official Standard, NOM-141-SEMARNAT-2003, which establishes the procedure for characterising the tailings, as well as the specifications and criteria for the characterisation and preparation site, project, construction, operation and post-operation of tailings dams. There are no qualifications necessary for the person in charge of operation and management of dam waste. These facilities are inspected by authorities quite often; there are no specific periods for such inspections. There is an obligation to get a permit from the authority under the Programme for the Prevention of Accidents; in certain cases, to submit a risk assessment, to register the Hazardous Waste Management Plan, to have environmental insurance and to provide notice to the authority in case of emergencies, accidents or loss of hazardous waste. There are no specific requirements for emergency drills with the local community. The Federal Law of Environmental Responsibility provides that the main responsibility for rescuing people and remediation, damages’ costs and penalties rests with the mining company involved in such events. Official Regulation NOM-032-STPS-2008, Security for Under­ground Coal Mines. The principal regulatory entity is the Ministry of Labour and Social Welfare. Standard NOM-141-SEMARNAT-2003 sets the procedure for preparation, design, construction, operation and post-operation of mine tailings dams. For the exploration and exploitation of tailings, no mining concession is required. There are no specific rules under the Mining Law for the ownership of tailings. If tailings result from the ore beneficiated by the mining concession holder, they belong to the mining concession holder; in the case of tailings derived from the beneficiation of ore in a third party’s beneficiation plant, it usually belongs to the owner of the beneficiation plant. In Mexico there are ancient mining works that produced tailings. Those tailings have no relationship with today’s mining concessions; these, in accordance with civil law, belong to the owner of the lands where tailings are sited. Furthermore, dumps, in accordance with the Mexican Mining Law, belong to the mining concession holder. doctors (physicians) working for companies must be Mexican individuals. Furthermore, foreigners require special authorisation from the National Migration Institute to be hired in Mexico for lucrative activities. The principal community engagement regulations are the Mexican Constitution (its spirit is social and its focus is in protecting vulnerable groups), some provisions of the Mining Law (see question 41), the Federal Labour Law and the Agrarian Law and regulations thereof. Mexico has also subscribed to several international treaties (see question 44). The main regulatory entities are the Ministry of Economy through the GBMR, the Labour Ministry and the Agrarian Ministry. Mexico has subscribed to the Convention for Protection of Indigenous and Tribal People (ILO Convention No. 169). Concessionaires must consult indigenous communities located in areas where mining concessions are located. However, there are no mechanisms implemented in the applicable Mexican legislation in this regard, nor sanctions or penalties imposed if the concessionaire does not consult the indigenous community. Additionally, in the acquisition of mining concessions, if there are simultaneous applications made by indigenous groups or tribal people and private miners for the staking of a mining concession, the indigenous communities living where the relevant mining concession is located have preferred rights to obtain the mining concession. General Law for Administrative Responsibilities (Ley 3 de 3). This law entered into force in July 2017. Offering, payment or receipt of bribes by government officers in exchange for any action or omission resulting in a benefit or advantage to the offering corporation or individual. Regulation of the responsibilities and penalties to be imposed on individuals and corporations for violations incurred in connection with the federal procurement procedures as well as violations incurred in international commercial transactions. Regulation and public policies and procedures in order to coordinate government authorities in the prevention, detection and punishment of corruption. Adoption of anti-bribery compliance programmes by corporations. Regulation of public bindings, permits, licences, authorisations and concessions. Notwithstanding that the Anti-corruption Laws do not require companies to adopt a compliance programme, the General Law for Administrative Responsibilities provides for possible reductions in penalties for companies being prosecuted for ‘serious administrative offences’ if the corporation incorporated an adequate compliance programme at the time the relevant offence occurred. Foreign mining companies generally have anti-corruption and anti-bribery policies implemented from abroad, to be fulfilled not only by the company itself, but for all those with whom the company enters into any type of agreement, either for goods or services. On the other hand, public Mexican mining companies generally implement anti-corruption and anti-bribery policies through a corporate governance system that is responsible for ensuring transparency in the administration, the experience of their organisational values and accountability to its stakeholders. The accession of Mexico to the EITI Standard is in progress. However, to date, Mexico has not enacted legislation nor has it adopted international practices regarding the EITI Standard in connection with disclosure of payments. As mentioned, Mexican mining companies may be owned up to 100 per cent by foreign investors, either as individuals or entities. Mexican mining companies partially or fully owned by foreign investors are considered Mexican entities and have the same business rights as Mexicans. The only obligation of Mexican companies with foreign investment is to be registered with the Foreign Investment Registry and report changes to their capital structure and periodically report their finance conditions to the Mexican foreign investment authority. Mexico has several bilateral agreements with other countries that contemplate certain matters related to the mining industry. The purpose of NAFTA and other commercial treaties was to eliminate most of the duties imposed on the exportation and importation of goods. Mexico has a temporary importation scheme through which payment of duties is not triggered except where the equipment remains in the country after the term of its temporary importation elapses. Furthermore, Chapter 3 of NAFTA includes certain benefits for the import of mining equipment against the countries without free trade agreements, which are usually subject to a tax that ranges from 10 to 20 per cent. With this agreement, Mexican companies will have a zero tax rate for the exportation of up to 95 per cent of the goods exported to Japan, including, among others, minerals. Mexico will reduce duties on goods imported from Japan (eg, goods with electronic and steel components) by up to 44 per cent in the coming years. This agreement provides the opportunity to participate as a supplier of mining industry inputs with a tax rate of zero per cent between the parties for chemical products for the flotation of minerals, and other processes performed in the mining industry including leachates, depressants, foaming agents, flocculants, sodium cyanide and sodium pentasulfide, among others. Neither the Mexican Mining Chamber nor the National Institute of Statistics and Geography of Mexico has yet published enough relevant mining industry information to illustrate the performance of the Mexican mining industry for 2017. 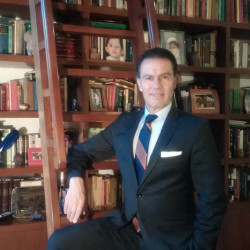 According to the Chairman of the Mexican Mining Chamber, despite the stability of metal prices in 2017, there are new threats to the development of the Mexican mining industry that could discourage foreign and domestic investment, namely new taxes, excessive increases to existing taxes and lack of legal certainty - we understand the Chairman to be referring to insecurity and problems with landowners honouring surface access agreements. The environmental tax approved in 2016 and enacted during 2017 by the state Congress of Zacatecas is a measure that also affects a state well known for its importance in the development of mining activity. A number of mining companies have obtained favourable rulings on the unlawful creation of the tax, therefore the tax is not longer enforceable for them. Despite of the foregoing, Mexico has kept its place as the biggest silver producer worldwide, with 173.9 million ounces representing 21 per cent of the global output. In addition, annual gold production, although it decreased because of the international situation, is still a strong commodity to invest in. Regarding significant transactions in 2017, Goldcorp Inc sold the mining project Los Filos to Leagold Mining Corporation for US$350 million. In June 2017, Goldcorp sold the Camino Rojo mining project to Orla Mining Ltd; under this transaction Goldcorp will receive, among others, 19.9 per cent of the issued and outstanding common shares of Orla; in October 2017 Goldcorp announced the finalisation of the sale of its minority interest in the San Nicolas mining project for US$50 million to Teck Resources Limited. The Santa Gertrudis mining project was sold to Agnico Eagle Mines Limited in September by GoGold Resources Inc for US$80 million. In addition, in 2017 Grupo Peñoles announced the investment of US$56 million in the expansion of Minera El Roble, located in Velardeña, State of Durango, which produces mainly zinc, lead and silver. One of the major cases in Mexico during 2017 was the illegal blockade at El Limon-Guajes mine operated by Torex Gold Resources Inc, led by the National Union of Mine, Metal, Steel and Allied Workers of the Mexican Republic, known as Los Mineros, which began on 3 November 2017. Finally, it is important to mention that macroeconomic stability was a determining factor in attracting investment and consolidating the mining sector. During 2013-2018 Mexico received more than US$163 billion in foreign direct investment. RB ABOGADOS was founded in 1993 by Enrique R. del Bosque, who had previously worked for four years at the Mexican mining group, Luismin, which was subsequently sold to Silver Wheaton and then to Goldcorp.